In 2017, Pune’s real estate sector grappled with two major structural reforms — the Goods and Services Tax (GST) and the Maharashtra Real Estate Regulatory Authority, or MahaRera, which is meant to protect the interest of home-buyers. The changes did impact the sector, which recorded a 6 per cent dip in sales, reveals a recent survey conducted by property consultant Anarock. 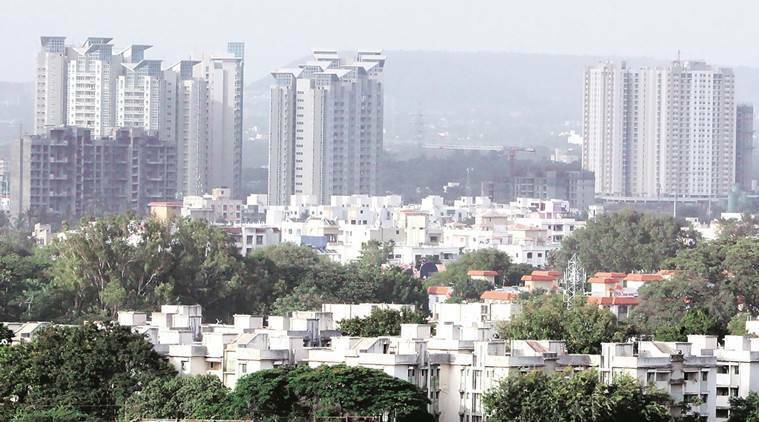 The survey also found that almost 60 per cent of the new projects launched in the city were “budget homes”, within the Rs 40 lakh price range. MahaRera has also forced realtors to change the way they function, as the law includes stringent penalties if they fail to meet their project deadlines. As the punishments include fine or even imprisonment, most builders have put brakes on new launches and are instead concentrating on the completion of ongoing projects. Pune has, however, seen decent sales, compared to cities like Chennai and Mumbai, which have reported double digit dip in sales. While 31,200 units were sold in 2016, last year, 29,400 unit were absorbed in the Pune market — a dip of 6 per cent. Last year, nearly 13,800 new units were launched in the city, a staggering 67 per cent dip from 2016. Around 98,000 units remained unsold, some of them older than 40 months, or over 3 years. Of the new launches, 59 per cent were below the Rs 40 lakh price range, or were “budget homes”. Most of the launches took place in the suburbs, especially in the northern areas of the city. Anuj Puri, chairman of Anarock, pointed out that fewer investors in the market, and the transition of the real estate market to a friendly and transparent one, were among reasons behind the dip. “With only end-users left to drive the market and investors more or less disappearing, developers have stalled new launches to allow the market more scope to absorb the unsold inventory,” he said. Shantilal Kataria, president of CREDAI (Maharashtra), said the demand for “budget homes” was usually in suburban areas. The recent changes in the Township Act, which has mandated construction of such homes, have also encouraged such launches.